3D Paper Plate Christmas Trees! 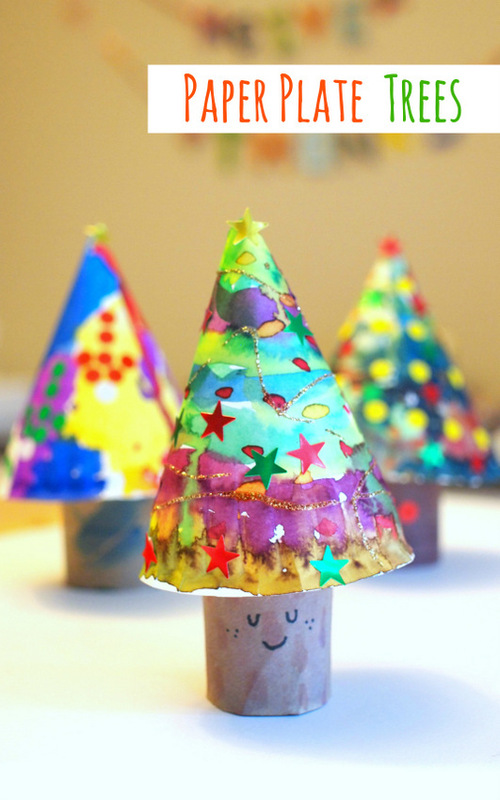 If your kid (1) loves Christmas crafts and (2) painting.... then these Paper plate Christmas Trees are the craft for you! They're so easy to make and provide the perfect "canvas" for little kids to express their creativity and holiday spirit! Ok, so here's how you whip up a whole Christmas tree farm. Grab a cheap paper plate. Cut it in half. Curl it up and staple it so that it resembles a cone. Then, hot glue a toilet roll tube inside of it. Bam! Soon you'll own your very own forest of Christmas trees! And that's it! Hope you enjoy this easy and fun Christmas kid-craft! Lovely idea for engaging kids..m sure little once with enjoy decorating the tree!